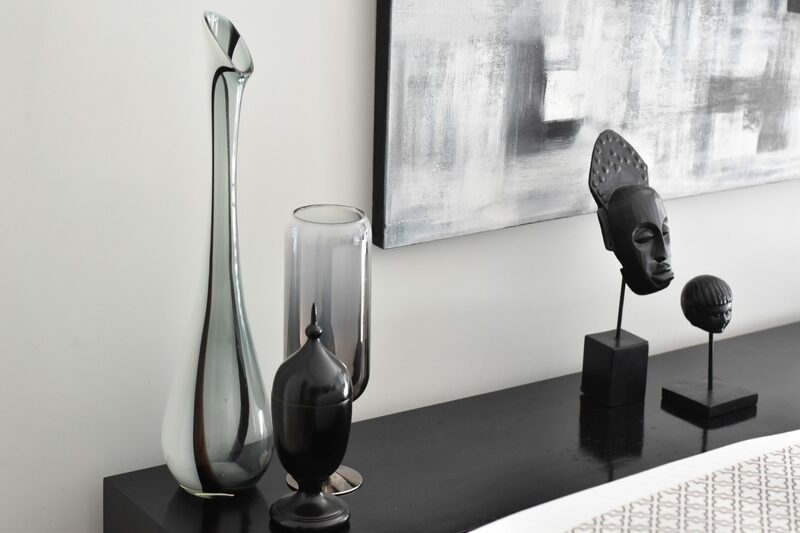 This one bedroom pied-à-terre located in the heart of Sydney is owned by an overseas based couple who each year spend the spring and summer months in Sydney. 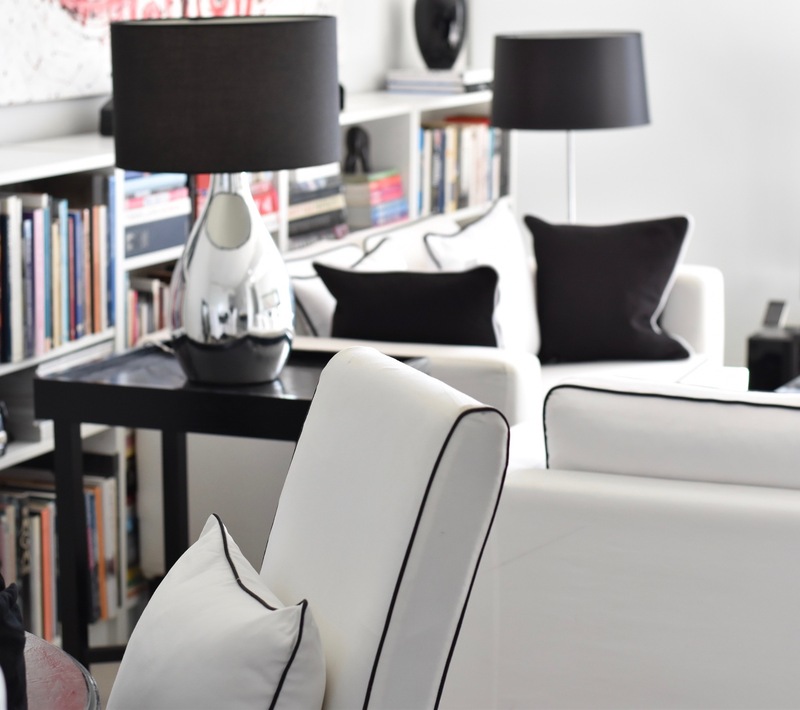 Part of a development constructed in 2003, the Darlinghurst apartment interior design was updated and refreshed in 2015. 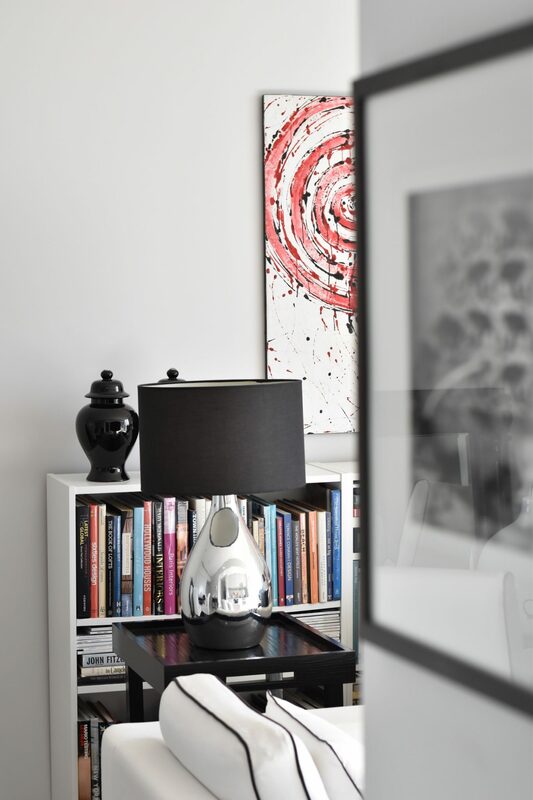 Located high up in the building, the apartment enjoys expansive views of the eastern suburbs of Sydney stretching from Elizabeth Bay to Botany. Viewed through expansive ceiling to floor sliding windows stretching the full width of the apartment which in turn open to a wide terrace, this striking outlook is naturally the focal point of the complete space. 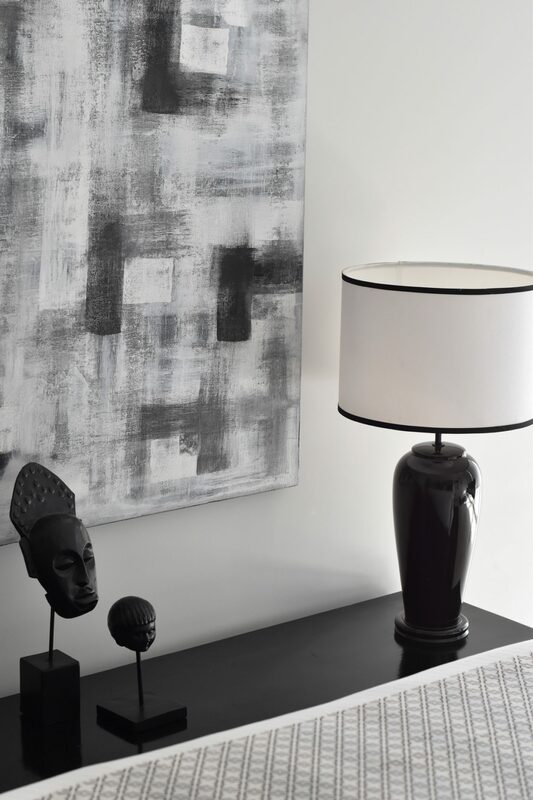 We chose a neutral palette of muted greys and whites that enhances the feeling of internal spaciousness while not overshadowing this dramatic outward focus and being complimentary to the owner’s collection of bold abstract artworks. 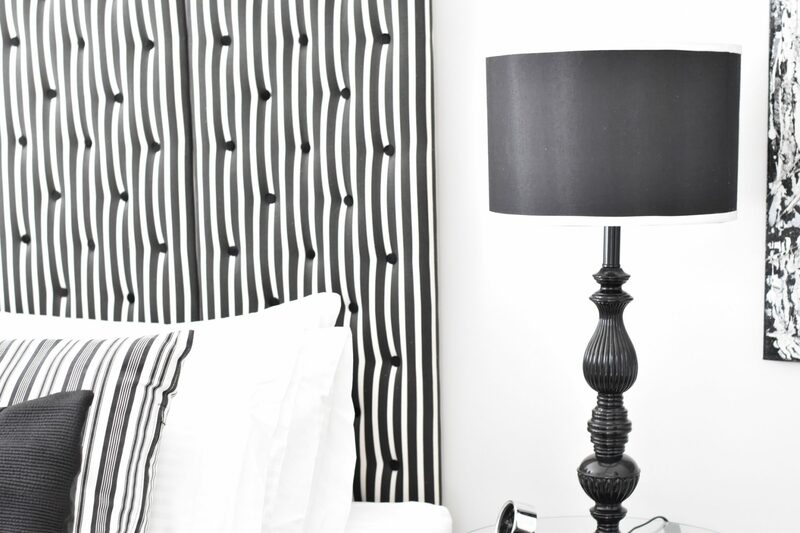 Additional pattern was brought to the design with fabrics of classic black and white stripes in varying patterns. Furnishings were selected for their classic and simple forms, incorporating an antique black lacquer pedestal dining room table that the owners brought to the apartment from their previous home. The final result is a light, breezy and compact home in the Sydney sky, perfectly suited to the travelling life style of its owners.